So far this year our team members have been anywhere between Paris to Bali, experiencing Italian romance in North Carolina and in Rome, Italy. We have skied in Norway and in Aspen, Colorado, and sipped wine anywhere between the country clubs of English country side to vineyards of Sonoma county, California – and it’s only February. We are travel writers, and while we also do some press trips, traveling for us is a lifestyle and it didn’t start when we started writing about traveling. Most of us don’t have unlimited travel budgets, and our team members have various income levels and with different kind of marital statuses, some with kids, some with none. The one thing we have all in common: we all like to live life to the fullest and we all like to travel and we have made traveling part of our lifestyle. Here are some of our secrets how we make traveling part of our lifestyle – and afford it too. 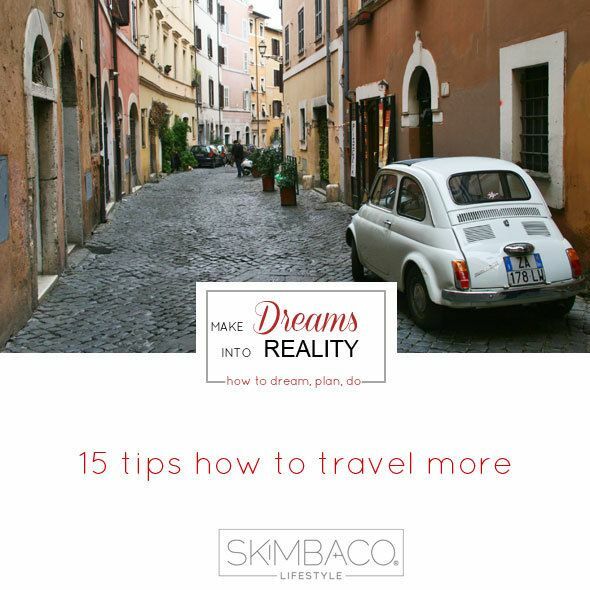 Many people say money is the biggest obstacle for not traveling more, however most people could easily save money for dream vacations if truly wanted. What could you give up for a dream vacation? How about cable TV, gym membership, monthly hair appointments, manicures & pedicures, eating out, going to movies, having a second car (payment)? The list is endless when you start thinking where your money goes to. Start cutting off your regular spending, and you will most likely be able to start saving hundreds of dollars a month to your travel fund. Buying lunch of coffee out every day is inexpensive, but it really adds up and bringing your own from home can save you a few hundred each month. 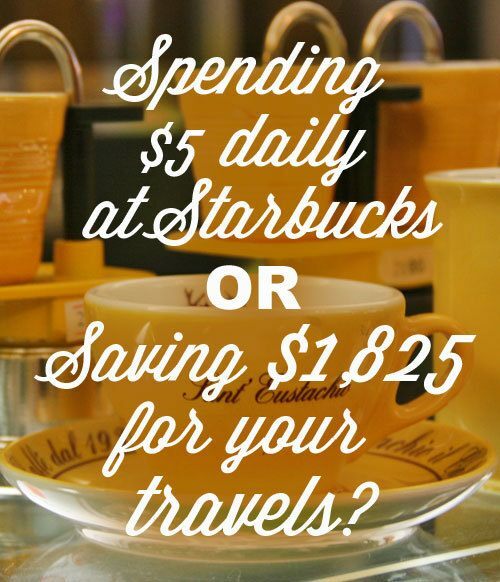 Saving $5 daily for one year saves you a total of $1,825. Instead of spending time and money traveling somewhere far, stay close by. Our hotel and resort expert Leigh is the master at staycations, and we have always traveled this way as well. Sometimes just a night in a nice hotel or renting a nice cottage can do the trick. Even if it’s less than 50 miles from your home. Do you have relatives or friends who live in locations you want to visit? House swap. Not just you will get a free place to stay but also a kitchen so you don’t have spend money on eating out. Couch surfing and staying with someone is OK to some extent, but I don’t recommend staying at anyone’s house for more than 3 nights if they are home. It doesn’t give you the same freedom to really travel on your own pace and it is kind of rude to ask to stay in someone’s home for weeks at the time. Learn how to collect travel points with airlines and credit card companies, and how to book travel for less by using discount sites and discount airlines. If you have specific locations where you would like to travel, sign up for airfare alerts to get notified when the prices are the cheapest for your wanted route. Many hotels give discounts when you stay 3 or more nights, and you can also get memberships to most hotel chains to collected points and get member discounts or perks. Even if you want to experience the luxury for less, there are ways to book the luxury hotels and experiences for less, for example using flash sale sites like Jetsetter. When it comes to hotel chains and airlines, my favorites depend on the destinations and where I live. For example when we lived in New York, I only wanted to fly with Delta and collect SkyMiles and only flew out from a smaller more convenient airport instead of JFK or other NYC airports to save time on going to the airport and for expensive parking at the airport. So always also think if the money saving is worth of your time, and how much it will cost you to “save” money. You might save money on the flight but end up paying for airport transfers, parking, luggage or other fees and end up paying the same as for the more convenient option. Same with hotels, the cheap hotel might not give you free wifi or breakfast buffet and you end up paying as much for them as you would have when you had booked a nicer hotel with those included. The “cheapest” isn’t always the most cost effective or convenient. I am a huge fan of renting vacation houses or ski lodges but they are often even more expensive than staying in hotels. However, this is only true when you book through luxury property management companies and from popular tourist locations. On our recent trip to Frankfurt am Main, we rented a house 20-minute train ride from the city and it was half the price double hotel rooms downtown would have been for our family of five. It added inconvenience but the small town in Taunus mountains was also a destination on its own, so we got two destinations for one. On our trip to Rome we saved money on renting an apartment close to Campo dei Fiori and saved money on eating in a few nights. I am now a huge fan of Airbnb.com for booking apartments. The biggest money saving from renting apartments doesn’t just come from the daily rate – it comes from saving the money by eating in. If you are not planning on cooking in the kitchen – there is no point of paying for one, and you might as well stay in a hotel. But the eating cost savings can massive depending on your location if you opt in eating in. 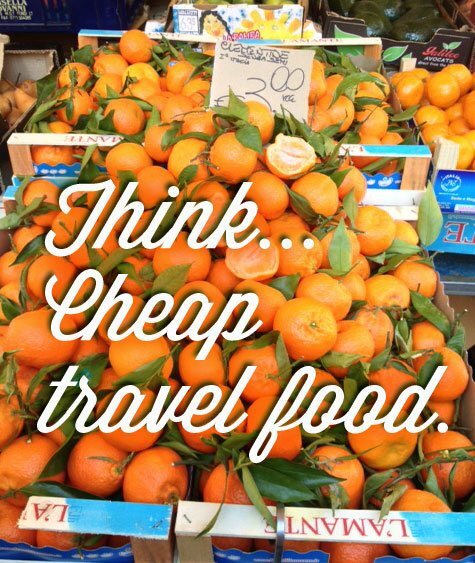 It might also make your trip more pleasant especially if you have small children and picky eaters. Instead of spending money on your free time – get a second job to save up even more for your travels. Even better: get a part-time job in the travel industry. When we lived in Durango, Colorado, I worked part-time in a t-shirt shop in the ski resort and got a season pass to ski for free. There are several jobs that give you travel-related perks even if you only work for part-time or seasonally. When you go on a business related trip, take a day or two off before or after to visit the place too and get a short getaway. This is great for example young couples, and even for families with younger children – bring them along! If your spouse travels for work, see how you could tag along and maybe do sightseeing alone while your spouse works and stay in the company-paid hotel room with your spouse. If your job doesn’t require traveling, there still might be a few ways to travel within your current job. Are there industry related conferences or any training you could travel to? Does your company have several locations? Maybe you could transfer to a new location? Instead of looking at your job as the chain keeping you from traveling, start looking at it how it could provide you more traveling. If you think you can… with a telecommuting job you can work and telecommute from almost anywhere from the world. This is also great for freelancers and self-employed. 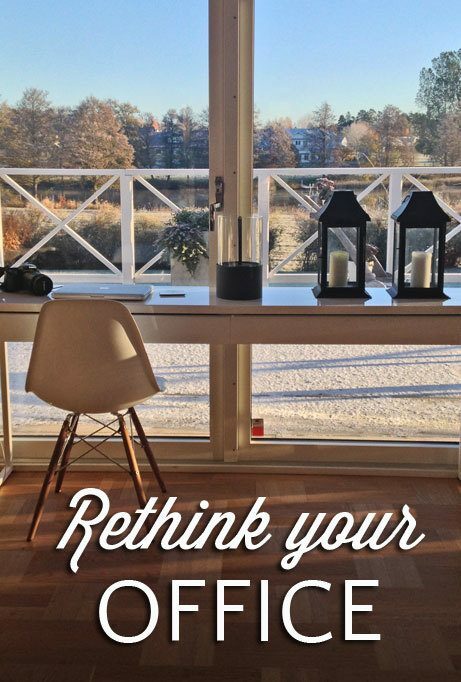 And one of the reasons I personally started an online business – so I could work from anywhere in the world (the picture is from my “office” at the moment). It takes a lot of discipline and guts to work from home, but it does give you the opportunity to do it virtually from anywhere. 10. Really love traveling? Make it a career. If you really want to mix business and pleasure, make traveling your career. I know people who book travel for others and make a commission out it and get a travel discount as a travel agent, or I know several airline crew members who still enjoy the luxury of traveling around the world as a crew member, although they say the luxury of that industry is gone. I know even more people who have become travel writers and get paid to travel and write about it. Unfortunately many of the traveling jobs are not great for people with families and it is difficult to bring your family with you for many of this kind of jobs, so keep that in mind. There are many organizations that offer volunteering opportunities. You volunteer your time and expertize in a specific location and they will pay your lodging and food, sometimes also your flights to get there. I do understand that the daily grind and your job is the main reason keeping you from traveling. Try negotiating a 2-3 month leave or take a pay cut for more vacation days to travel more. Of course these require planning, because at the same time you are cutting your income, but for example our writer Nina was able to get a several month long leave from her job and she moved to NYC for 3 months. It required years of planning, but it was an experience she will never forget. Teachers in Canada (and perhaps all government employees, unfortunately I don’t have details) can take 4 years of only 80% of their salary and then get the 5th entire year off and get paid the same 80% of their salary on the year they are not even working. If you are young, take an advantage of exchange programs or go and study aboard. If you are older and already finished with your studies – don’t think this is completely out of your reach. You can continue your studies and look into graduate programs or even short term courses in Universities around the world. Studying in Europe is much less expensive than in the US, so you will not only be able to travel and experience the culture, but also educate yourself. I know entering sweepstakes sounds like a long shot, but I do have several friends who have won trips, and I won a trip from New York to Finland to Singapore and back two years ago from a contest with an airline. There are several travel sweepstakes going on in any given moment, and there are sweepstakes websites where you can find them. Just start by googling “travel sweepstakes”. Dedicate 30 minutes a day for finding and entering travel sweepstakes and use every entry method you can to maximize your changes of winning. The word nomad comes from a Greek word that means one who wanders for pasture, but I don’t really mean that you move where there are better hunting possibilities nor that you join the gypsies, but that you move where there is work. My husband and I have been “modern nomads” for over 15 years together, and moved after his work. It has given us the opportunity to see the world and travel more than we ever could have otherwise. We have moved every two years or so and have lived in some beautiful areas like in Main-river valley in Germany, in the mountains of Colorado and just outside New York City and now in Sweden. With our moving address it has been very easy to see the world just by doing inexpensive 4-day weekend length staycations where ever we have lived. 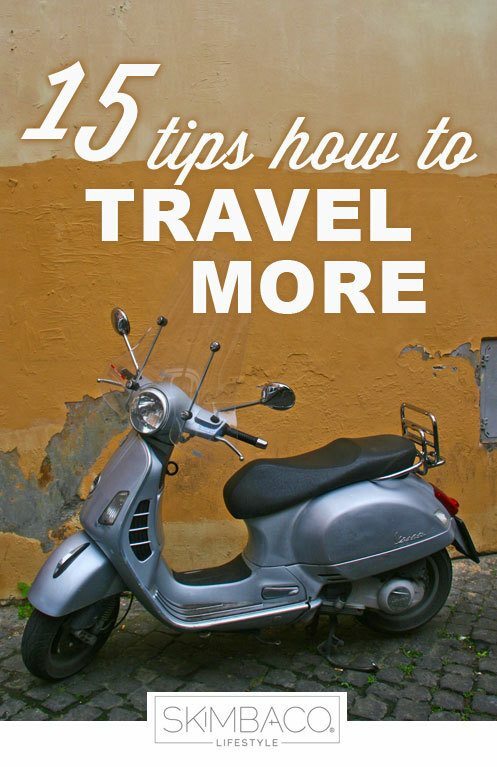 These are great tips Katja hoping to implement some of these on our next vacation. Love these tips – and boy could I use the vacation! Great tips! I really want to try an RV or houseboat vacation one of these days. Good article, I was a traveler when I was in the Mideast and that taught me a few things about travel. Cut out the middleman when practicable, do not book lodging and services from afar, as you end up having to pay multiple brokers in addition to the service. What that means is find and book your rooms at your destination. This leads to the next suggestion and that is to research your travel and research it thoroughly. There are many good travel books out there and one of my favs is the Lonely Planet Guide. When I was in Tanzania we booked and paid for our Mt. Kilimanjaro climb in Arusha, one of our climbing mates paid for his climb in Australia and was furious when we told him what we paid and I do not blame him. Admittedly, we had some time onsite to do some shopping around and again, did our research before hand. Of course, if one is going to an event (e.g. The EAA Fly In, a major golf tournament, a major ski event, a major race, the Olympics) then reconsider as you may arrive and all lodging is full or more than normal full price. In Powder Magazine I was reading a piece by a guy who was whining about whiners. He noted one common whine he runs into as a ski writer is people complaining they can not afford to take the ski trips he often writes about. He reminded people it is all about priorities and if taking ski (snow) trip to a far flung destination is important you will do what it takes to make it happen. The idea of cutting small daily expenses is bigger than most people think. Yeah, it may be only $5.00 a day, but all financial advisers will say small and constant is more important than large and sporadic. In my life I noted that, it is amazing how fast the pile builds when you skim a smallish amount from the paycheck and send it to an account that is not so easily accessible. Quit the gym *_ONLY_* if you are not using it, one’s health is important. Also, don’t think you will “…start next week”, either start today (tomorrow at the latest) or quit. This is good material and I will put together an article about this on my site. Its been a while since I’ve ski tripped and am aiming to go to Beaver Creek in February of 2015 for the World Cup championships and I am hoping I can utilize a number of your pointers and some of mine here. Last year, at about this time I took about 3 mini-vacations. All were in the region, but work was very stressful and I had to get away. My wife and I just picked up and went to to the Ironwood MI area in the middle of the week, just showed up and negotiated a 50% discount on our rooms. I got a bit of skiing in and some photography of Copper Peak (a HUGE but defunct ski jump) and then spent some time with some friends, before going back. 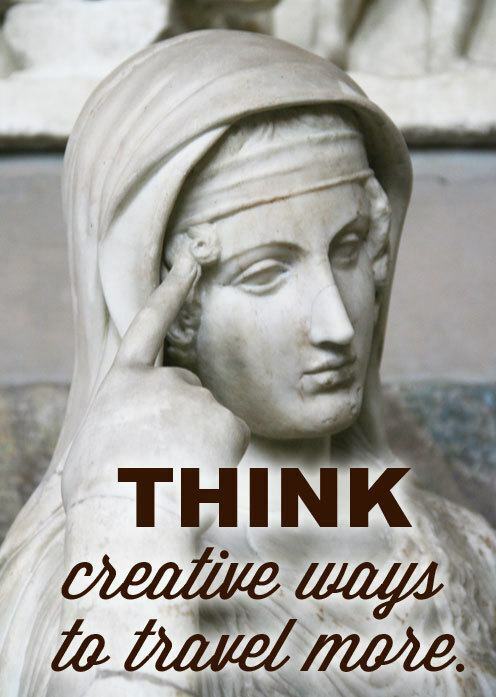 That break was a huge help at work and gave me the fresh thinking to get through that project. I will also be spinning my own article off of this. I have not written much about travel.